Credit Human is proud to be the Official Credit Union of the San Antonio Spurs. 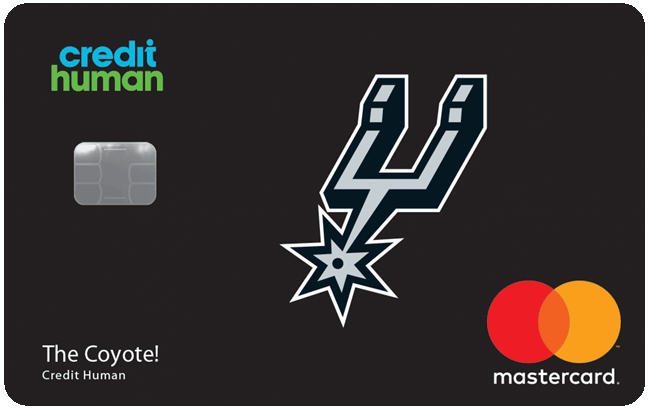 All Credit Human checking accounts include a rewards debit card, and members can choose a Spurs card design – exclusively from Credit Human. Access funds at ATMs, including Credit Human ATMs in the San Antonio and Houston areas, and make purchases anywhere you see the MasterCard® logo. The Spurs Reward debit card is available at any Credit Human location or when opening an account online. SpursU presented by Credit Human offers college students generous discounts on Spurs, Rampage and Stars tickets. Get notified when tickets are available. Simply like SpursU on Facebook and follow @SpursU on Twitter to receive updates. Like the Spurs, we’re the union of teamwork and success. We believe in improving and strengthening our community. And since 2002 we’ve partnered together to do just that. 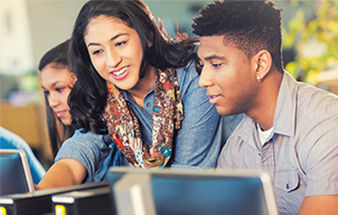 Credit Human is proud to serve as the Financial Literacy Partner of Team Up Challenge, a youth-led service learning program. We are also the presenting sponsor of the Spurs Calendar which benefits local nonprofits, including Silver & Black Give Back, whose mission is to empower young people to enrich their communities. When you join Credit Human, you become part of a powerful financial cooperative. You get a safe place to save and borrow with competitive rates and lower fees than for-profit financial institutions. Members also enjoy Spurs player meet-and-greet opportunities and special ticket offers.